A noose was found in the Metropolitan Opera House Saturday, police said. MANHATTAN — A noose was found backstage in the Metropolitan Opera House Saturday night and police are investigating it as a possible bias incident, according to the NYPD. 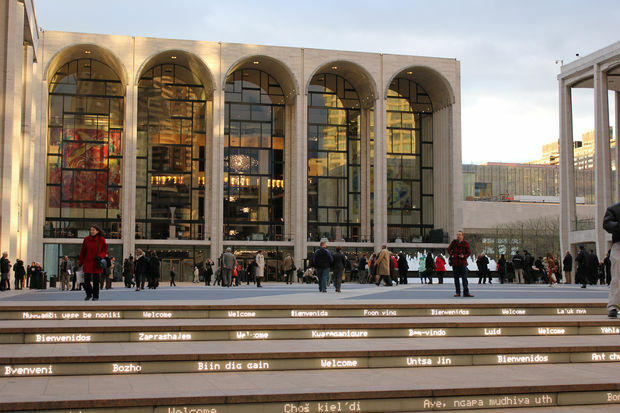 The noose was found at about noon in one of the men's musicians locker rooms in 30 Lincoln Center Plaza, police said. It was hanging in a row of lockers used by multiple black musicians, a source at the union that represents the players told DNAinfo. A spokesman from the Metropolitan Opera said the noose was discovered before a performance of "Turandot." "We immediately called the NYPD, who began their investigation with the Met’s full support and cooperation," said Met Opera spokesman Tim McKeough Tuesday. "This is a very disturbing incident for the members of our company and, if it was a deliberate act of racial hate, we would like to find out as soon as possible to help guide our next steps," he added. Local 802 President Tino Gagliardi said he was "saddened and sickened" by the display of hate. "We must ensure that these abhorrent acts are not tolerated and that appropriate actions are taken. Musicians come to New York to perform with the most talented artists and be part of the most creative artistic community in the world," Gagliardi said in an email. "Our inclusiveness is our most vital value, and these types of heinous, discriminatory, and racist actions have no place among us or in our society," the president added.